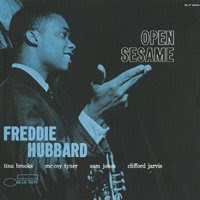 Frederick Dewayne Hubbard (born April 7, 1938 in Indianapolis, Indiana) is an American jazz trumpeter. He was known primarily for playing in the bebop, hard bop and post bop styles from the early 60's up until today. In 2006, The National Endowment for the Arts honored Hubbard with its highest honor in jazz, the NEA Jazz Masters Award, along with a $25,000 fellowship award. His unmistakable and influential tone contributed to new perspectives for modern jazz and bebop. Glad to see you here again! I 've just check out your blog but i didn't have the time for a deeper search. I 'll post a comment soon.